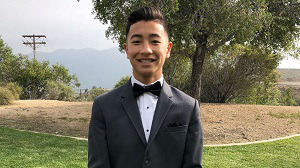 The Sigma Alpha Epsilon fraternity chapter at University of California (UC), Irvine has been suspended after Irvine police found student and fraternity member Noah Domingo dead in a home near campus. Irvine police received a call around that Domingo, 18, was unresponsive and found him dead at the scene, Kim Moher, a police spokeswoman told Associated Press. According to Orange County coroner’s officials, Domingo died six hours before police arrived to the scene. The cause of his death has not yet been determined. The Sigma Alpha Epsilon fraternity chapter has been placed on interim suspension by university officials pending the investigation. In a recent statement, the chapter said they are heartbroken by Domingo’s death. UC Irvine has not released further details about the investigation.